Finance is subject to status and only available to customers aged 18 years or over. Offer is subject to stock availability. Offer ends 30th June 2019. Monthly price is based upon an annual mileage of 8,000 miles. If you drive in excess of this then you will be charged on a pence per mile basis. All prices exclude VAT. 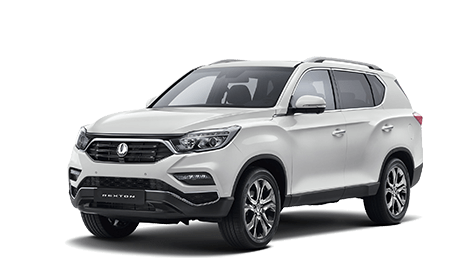 Introducing the new SsangYong Rexton SUV. A brand-new design, a bold new stance with the same pulling power that you would expect from SsangYong (up to 3.5 tonnes) and sumptuous comfort for up to seven adults. The original Rexton brought a tough four-wheel drive family car to the UK. The New Rexton brings it to a whole new level of style. Full of features that you expect along with many you hadn’t considered like a top-down parking visual aid to help you manoeuvre into those small spaces. The New Rexton comes with SsangYong’s class-leading 7-year 150,000 mile warranty for your peace of mind (for personal and business use). ALL new Ssangyong vehicles (cars or commercials) are covered by a comprehensive 5 year unlimited mileage warranty as well as a year’s free AA breakdown cover. Whether you use this vehicle for personal or business use, Ssangyong will honour the warranty. I'm a taxi driver. Will I still be eligible for the unlimited mileage warranty? Yes. The 5 year limitless mileage warranty is available on all new Ssangyongs for all customers: no exceptions. Can I part exchange my car with you? Of course. Charters Ssangyong Reading are happy to accept your vehicle as part exchange towards full or part payment of your next car. Whether you are looking for a new or used Ssangyong, we’ll quote you happy. To receive a preliminary valuation, you can even use our useful online form here. Can I finance a Ssangyong? Whilst every customer is different, Charters Ssangyong are happy to talk you through the process of financing your next Ssangyong. If you’ve got bad credit history but need a vehicle then don’t hesitate to contact us. We’ll be happy to realistically discuss your options and can offer affordable finance packages. We’ll go through why a certain finance package may be more suitable for your needs over another and the advantages and disadvantages of each option. As always, Charters are here to help. If you’ve found it difficult to get car credit in the past, perhaps we can help. We are always happy to do so. Is it safe to apply for finance online? Absolutely. 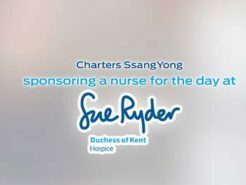 As with all of the Charters network of digital sites, Charters Ssangyong Reading is encrypted with a 256-bit SSL certificate meaning anything you send to us is done so through a secure channel. See the “green lock” icon next to the address bar? That is your guarantee that your details are kept between us and yourselves. 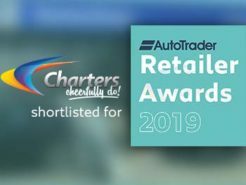 Charters want to urge customers to be extra vigilant online and with so many other car dealerships ignoring this fundamental security step, it is important to look out for your online safety. Once you complete the online finance application form, one of our team will get back to you within a short time to go through the next steps. 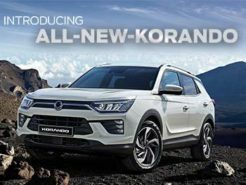 Completing the online finance application form on this site is a confirmation that you are applying to finance the Ssangyong of your choice. If you just want to discuss your options, please use our contact details on this page instead. Can you explain Hire Purchase? Charters Ssangyong Reading Hire Purchase scheme allows our customers to spread their payments over a selected term. Customers choose their vehicle, trim level and choice of paint colour (as well as other options if applicable), decide a deposit to put down (some of our vehicles come with 0 deposit needed). They then spread the rest of the cost of the vehicle over a set term (such as 36 or 48 months). This way, Ssangyongs are even more affordable using this payment method. The vehicle is yours to keep at the end of your term (provided you keep up the payments) and there are no mileage restrictions. Customers will own the vehicle at the end of their term. A more affordable way of driving a brand new Ssangyong. Monthly prices are generally higher than Personal Contract Purchase rates. For more details on Hire Purchase, see our dedicated page here. Can you explain Personal Contract Purchase? Personal Contract Purchase (or PCP as it is commonly known) is a way of deferring the future value of your vehicle to reduce the monthly cost. Customers decide on the deposit, term length and mileage they are likely to use. The guaranteed future value (GFV) of the vehicle is then calculated. The total on the road cost of the vehicle has the deposit and the GFV deducted from it, then customers spread the rest of their payments over the selected term. Pay the outstanding amount (equal the “Guaranteed Future Value” figure) and keep the car. Guaranteed Future Value is based upon an agreed annual mileage allowance and condition. The vehicle must be returned in good condition. Whilst deferring a large chunk of the cost of the vehicle to the end of the contract is suitable for many of us, some customers (who expect to keep the car) find it easier to opt for the hire purchase scheme. For more details on Personal Contract Purchase, see this page. What if I exceed my agreed Mileage on PCP? Customers are advised by our staff to choose a mileage that accurately reflects their annual usage as it keeps their payments accurate. If however they exceed this mileage, they are charged on a pence-per-mile basis. This figure is shown to customers when being quoted on new or used Ssangyong and is usually very affordable. We are happy to offer Aftersales discounts to Students from the University of Reading . So if you have valid ID from this place of education, bring it along to us and we’ll repair, maintain or MOT your car for a discounted price. Please Note: Ensure when booking, you inform us of your student status. Not valid in conjunction with any advertised offer. Will I need a guarantee? Getting finance on your next vehicle is based upon a variety of factors including credit status and age. Some of our customers (especially new and young drivers) are required to have a guarantee (or guarantor) to countersign your agreement. This guarantee is to assure the finance company that if you are unable to make payments on the vehicle then they will do so in your place. Read more about our finance options here. What is the Engine Decontamination Treatment? Our revolutionary Engine Decontamination Treatment is designed to bring back the power, economy and life of your vehicle. If your current car or commercial is over 3 years old and is sounding/feeling a little worse for wear, our EDT system can really help to roll back the years. We have tested this system on cars from 3 to 30 years of age and found it to reliably give positive results to both economy and power. The Engine Decontamination Treatment flushes the sludge within the engine that builds up over time. It’s a detox for cars and from only £99 +VAT (when ordered with a service) or £149 +VAT (standalone treatment) it is an affordable option that our customers really appreciate. For more on the Engine Decontamination Treatment system, click here. Can I get a brochure? Of course. 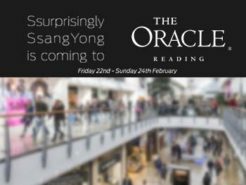 We have a dedicated page here where you can download the latest range, prices and specifications and accessories brochures for each and every Ssangyong model on sale at Charters Ssangyong Reading.